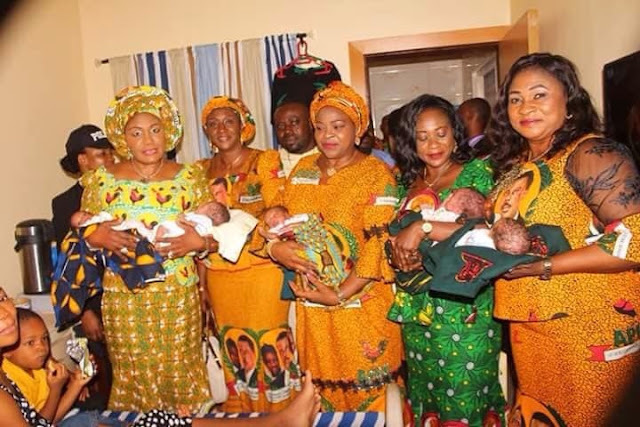 The joy of the parents of quintuplets delivered at Life International Hospital, Awka knew no bounds as the wife of Governor of Anambra state and founder of Caring Family Enhancement Initiative (CAFE) Chief. Mrs. Ebelechukwu Obiano (Osodieme) visited the hospital on August 22, 2018 and settled the medical bill incurred on delivery of the three boys and two girls. 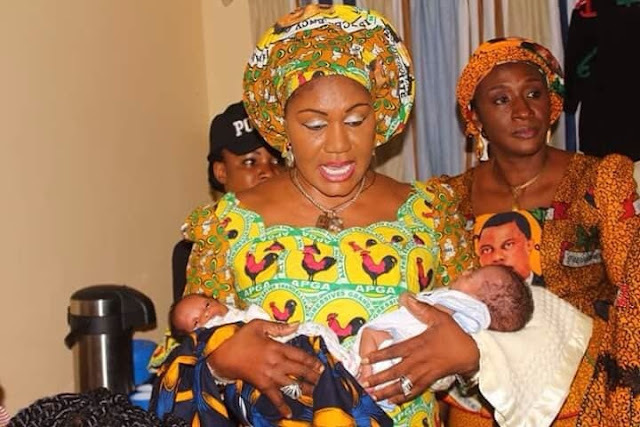 Osodieme on arrival commended the mother of the babies and thanked for the blessings on Anambra state. “Isn’t it a wonderful blessing that we have these bundles of joy in Anambra at a time our children from Regina Pacis Model Secondary School Onitsha conquered the world in Technovation competition in America. I am glad mother and babies are healthy, I came on behalf of my NGO, CAFE when I heard that the quintuplets are still here after two weeks but I have just discussed with the Medical Director and settled the bill and they can now go home." Osodieme also praised the hospital for their wonderful facilities and staff which ensured safe delivery of the babies. She also noted that the existence of such world class hospital is a testimonial to the security of lives and properties in Anambra state. Osodieme also charged the parents of the babies to redouble their efforts in order to ensure that the children get the best so as to achieve their life's dreams, stressing that the excuse of limited resources should not deter them from their parental obligations to the babies. Osodieme's entourage include Commissioner for Social Welfare, Women, Children Affairs, Lady Ndidi Mezue, the Transition Committee Chairman of Awka North, Hon Lawrence Onwuzuka, who gave the sum of hundred thousand Naira, and the Member Representing Orumba South at the State House of Assembly, Princess Nikki Ugochukwu, who supported with the sum of fifty thousand Naira, to relieve the burden from the family. The quintuplets' mother, Mrs. Nwaka said that the visit by Osodieme is a saving grace to the family. She stated that she had always heard of the Osodieme's goodwill without knowing that she would one day be a beneficiary. She revealed that she was initially shocked by the ultrasound revelations, but carried on since she saw it as miraculous.